Social media should be a part of your marketing strategy, but how big and what platform and why? Customer conversion is 129% higher when social media is part of the buyer’s journey so why wouldn’t you participate in some way? And 70% of consumers will call out a brand on social media to help them raise awareness among other consumers. But this doesn’t mean that you need to use all the channels. 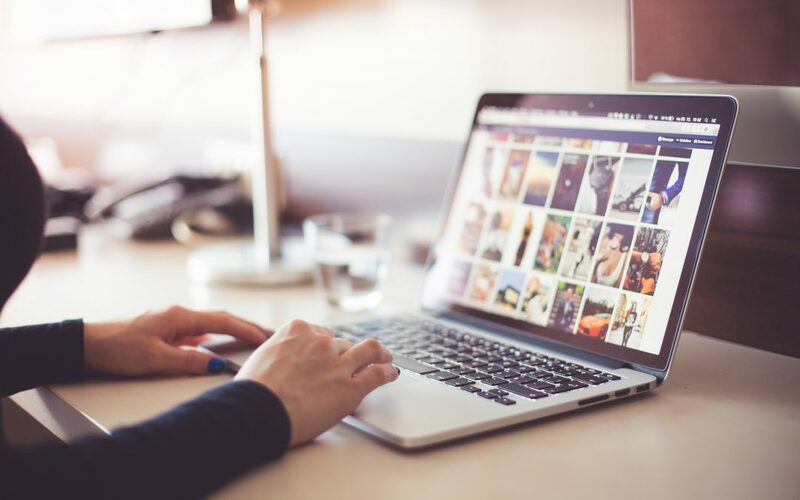 In this post, we’ll dive into Facebook, Instagram, LinkedIn and Twitter to share the audience on each platform and how to best use the platform for your business. There are some general guideline to remember regardless of the platform you are posting on. Be authentic. Remember to be true to your brand. You’re talking directly to your audience, so also remember to be conversational, genuine and approachable. Be educational. Social media is not for constant promotion of what you’re trying to sell. Remember the 80/20 rule, 80% of your posts should be educational and provide value, and 20% of your posts can be promotional and make an ask of your followers. Be engaging. All the platforms are looking for posts that their users want to see. The best way for them to gauge that information is by user engagement. The more you get people to retweet, comment and share your posts, the more likely you are to get more organic reach for your post. So be sure to ask questions to encourage responses. Be consistent. Train your followers on what to expect from your feed. It’s better to show up consistently on one platform than all over the place on several platforms. Be on brand. People should see your posts across your different channels, websites, ads and wherever else you are promoting, and see that they are similar in look and language. Create template posts for types of posts you create regularly (ex. quotes, product shots facts) so that they look the same and cohesive. Without a doubt, Facebook has the largest audience of any social media platform. With 2.23 billion users worldwide, most likely your audience lives on Facebook. If you use only one platform, Facebook is definitely the one to use. Video is king here so the more you can engage with your audience in this way the better your posts will grow with organic reach. Now, organic reach (non-paid) traffic on Facebook has definitely declined with the algorithm change on January 11, 2018, but this is really just an opportunity to make sure that your posts are quality and will really help you learn what your audience really likes to see. It also means that you’ll need to pay a bit to Facebook in advertising to get more reach for your posts. This can be as little as $10/week! So, let’s get to some demographics. Below are some general stats about who is on Facebook. What type of content should you post? Facebook is all about engagement and the more your audience interacts with your posts the more often your post will be served to others. The best way to do this is with video, and more specifically, Facebook Live video. Now if you aren’t comfortable with live video, then the video you create should be uploaded directly to Facebook, instead of via link like YouTube or Vimeo. If you have no video content, that’s ok too, just make sure your posts include images. This is definitely something you should test with your audience, but a great place to start is once a day. Remember that the algorithim here your audience may not be served the post right when you post it. If you’re posting a ton in one day they may get served them all at once and that can be annoying. We don’t recommend posting more than 3-4 times a day. 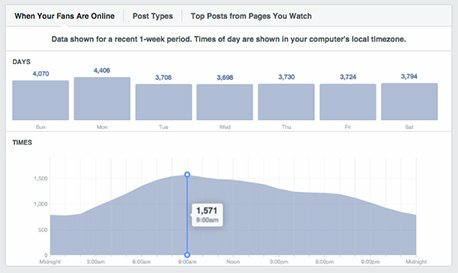 Use your audience insights on your Facebook page to determine when you should post. It will give you information on when your audience is online most so you can maximize the reach of your post. Facebook also has a great function where you can schedule your posts ahead of time so you can plan ahead and have your posts go live when you want them. There are so many features to Instagram that can allow you to really showcase the personality of your brand. 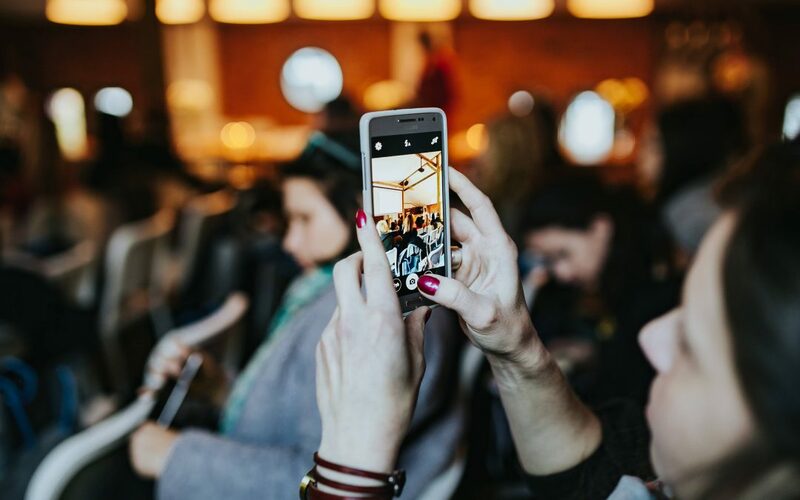 Photos are really the name of the game with this platform, but with Instagram Stories and IGTV there is a great opportunity to showcase your video skills here as well. 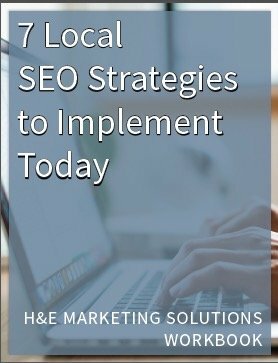 Hashtags are important here for getting people to discover your brand, and determining the best hashtags for your brand will be essential. More on that below. So what are the differences between all the options on Instagram? This is the area where you post photos and videos under 60 seconds. The overall look and feel of your brand’s feed are important for consistency. However, don’t overly stress about the quality of your photos. It’s also about the content you’re writing in your posts that provides value and encourages people to engage. Below are three examples of feeds we love the feel of. Bubba Sellars (@bubbasellars) is a photographer/videographer based in Bend, OR. 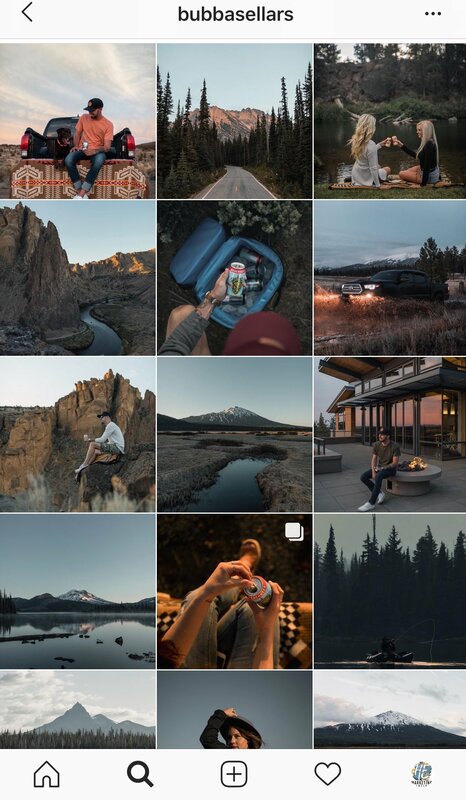 His feed is beautifully branded using the same style for his images. If you aren’t a professional photographer you can get a similar look and feel by using the same filters for all your photos. The second example is Amy Porterfield (@amyporterfield) and she sells online courses to help entrepreneurs develop online courses and grow their email lists. 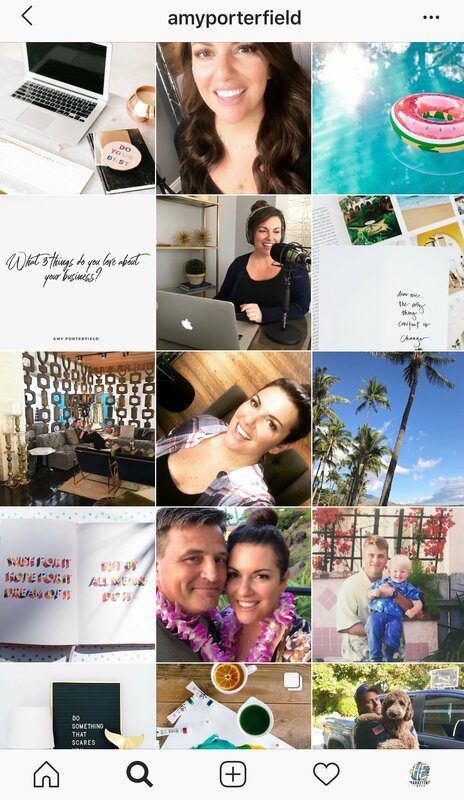 We love her feed because it has a great mix of behind the scenes (BTS) images of her podcast and business, shows off her personal life to make her more approachable, and also shares tips about growing a business. Finally, we love the Planoly feed (@planoly). Planoly is an Instagram scheduling tool. Their feed stays consistent with colors. 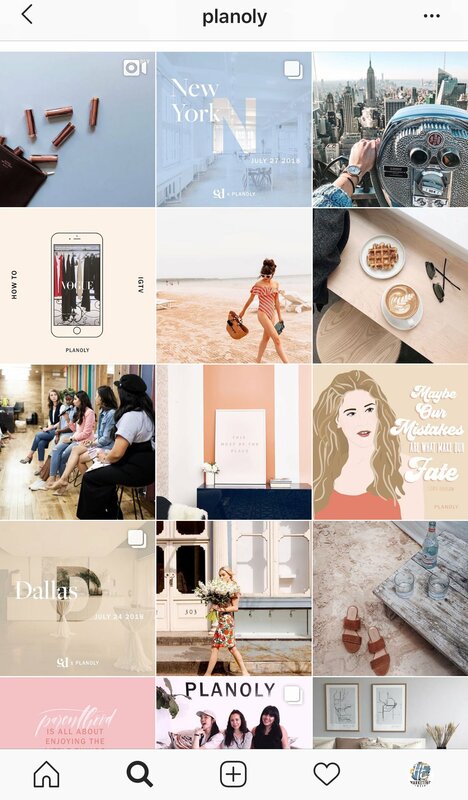 Each week their photos have a consistent color scheme that makes their feed gorgeous and fun to navigate. If you sell a product or service and have it in your Facebook store, then tagging that product in your posts is a great way to connect you webs store and link product for easy purchasing. Follow @warbyparker to get a great example of this! Stories are 15 sec clips or images that disappear after 24 hours (however you can keep them longer as story highlights in your main profile). Instagram Stories are a great opportunity to let loose a little bit and showcase your personality. These are often a combination of personal and professional posts, depending on the brand, and have lots of fun features like fun filters, ask a question and poll features, and stickers and emojis. Businesses like Entrepreneur (@entrepreneur) and Hubspot (@hubspot) do a great job of providing educational material in their stories. Others like Tyler J McCall (@tylerjmccall), Instagram Strategist, and business coach for female entrepreneurs Angie Lee (@angieleeshow) do a mix of personal life with their business to engage and get more personal with their audience. Do what makes sense for your brand and how exposed you want to make your team. But if Instagram is part of your strategy, then stories should be as well. This is for several reasons! One is that real estate it gives you at the top of the feed. The other is that the number of active users of stories is on the rise! This is the newest feature to be rolled out by Instagram. This allows you to upload long form videos (15 sec to 10 minutes) into the platform. If you have a verified account or a larger following than you can upload up to 60 min. Vertical only video is the key here. For all things IGTV check out the Instagram help center. This is a newer feature and still rolling out so don’t feel the pressure to make this a part of your strategy right away unless you are already creating lots of videos already. 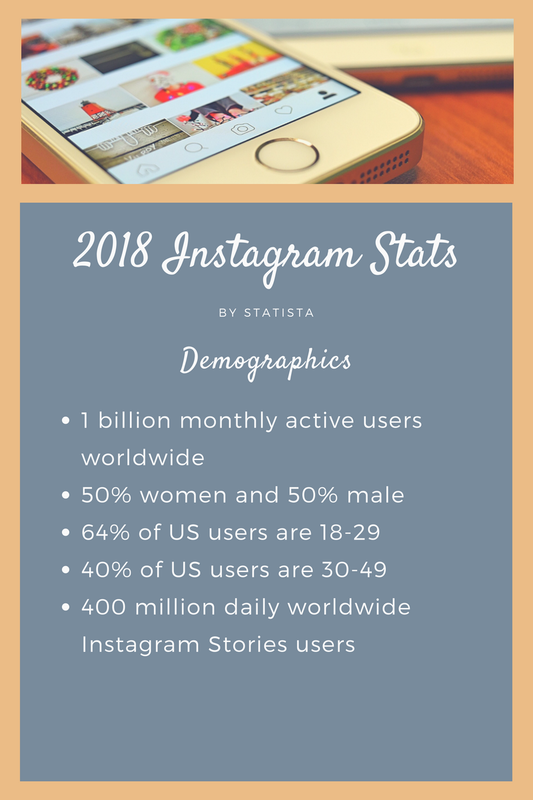 Photos are definitely most important here although, with new features like IGTV and increasing popularity of Instagram Stories, video is definitely becoming more valuable. Again, testing is important here as well. Facebook owns Instagram so the algorithm is similar. They will show you what they think you want to see and that can mean seeing several posts from one account all in a row, even if they posted them days apart. Again, we recommend starting once a day. If you have an Instagram business account, then you can see insights on when your followers are online most. Use that as a tool and then test, test, test! This is an often overlooked platform for business that are targeting B2B businesses. Posting on LinkedIn gives you a great opportunity to share educational content for your industry and build yourself up as an authority. In 2016, Microsoft bought LinkedIn and with it some new functionality. While the majority of the platform is free, there are some premium options that allow you to target and find your ideal client. Paid memberships also get access to Lynda, which is a great training platform with lessons on digital marketing, website design, branding, running a business and so much more. We recommend signing up for their Premium account, which is free for 30 days. Learn all you can and target your audience during this time. This platform is all about educational and business orientated posts. This is a great place to share articles you’ve seen that are valuable or blog posts you’ve written on your blog. You can also post your blogs in full glory in the articles section of the platform. Changes are constantly coming to LinkedIn and video is becoming more and more prevalent. If you haven’t noticed, video is more and more preferable, from both platform and consumer, so figure out a way to add it to your strategy. Hashtags have recently shown up here as well. The platform makes recommendations based on the copy in your post. Time will tell how many you should use to drive engagement. A general rule of thumb here is once per day, Monday – Friday. Like Facebook and Instagram, LinkedIn has an algorithm that they rely on to serve the content you post to others’ feeds. And on top of that, analytics are not very robust here. We like to post in the morning when possible to try and get in front of people throughout the day. 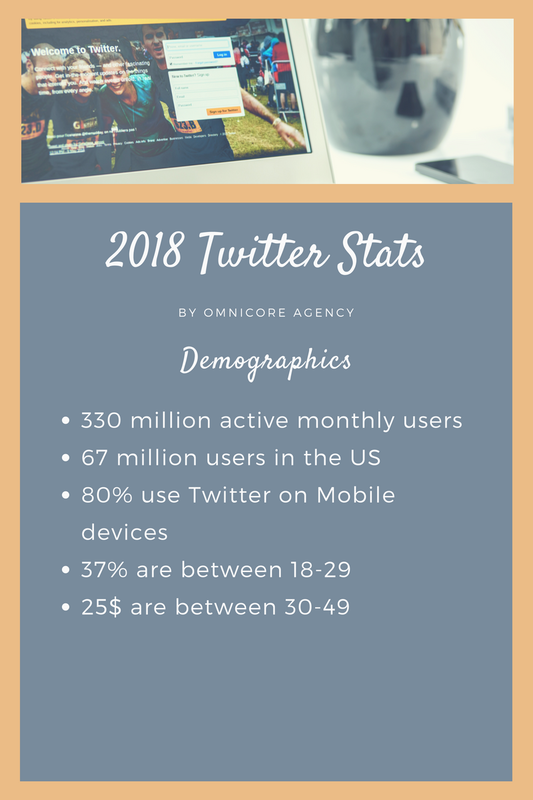 There are so many reasons to use Twitter, and not just for brand awareness. Twitter is a great place to stay up to date on the pertinent news in your industry. Creating lists of influencers is a great way to easily see tweets of people you want to make sure you don’t miss. This can also help you when you are looking for articles to share on other platforms like Facebook and LinkedIn. This is also a great platform to drive customer service. Many big brands utilize Twitter as their help desk. There is an algorithm that defines what posts you see, however, Twitter is the closest to a true time feed of the platforms discussed in this article. Engagement is key here though as well. Posts that have more retweets, shares, and comments will get more visibility. Twitter is a great combination of personal and business. People love to feel like they have a direct connection to the CEO or the brand itself to ask a question and interact. You can still post text-only content here and drive great engagement. The key is to provide value to your followers and ask questions and give them insight into your daily operations. Based on the nature of the feed with Twitter, you can safely post 3-4 times a day if you choose. Remember you can also repurpose content. Share the same blog at different times of the day throughout the week. Posting several times throughout the day is great here. There are benefits to utilizing different platforms for your business. And using ALL of them doesn’t make you more successful. Start with one that you know you can execute well, and when you start to see results, then move on to the next one. Do not feel that you need to be at all places all the time. Share this article on Facebook and let us know what your favorite part of this article is! In January, Facebook announced that they were going to prioritize your friends and family and groups you follow in your news feed over business pages. This made huge waves throughout the social media marketing universe as it made big changes to how businesses used Facebook to build their business. 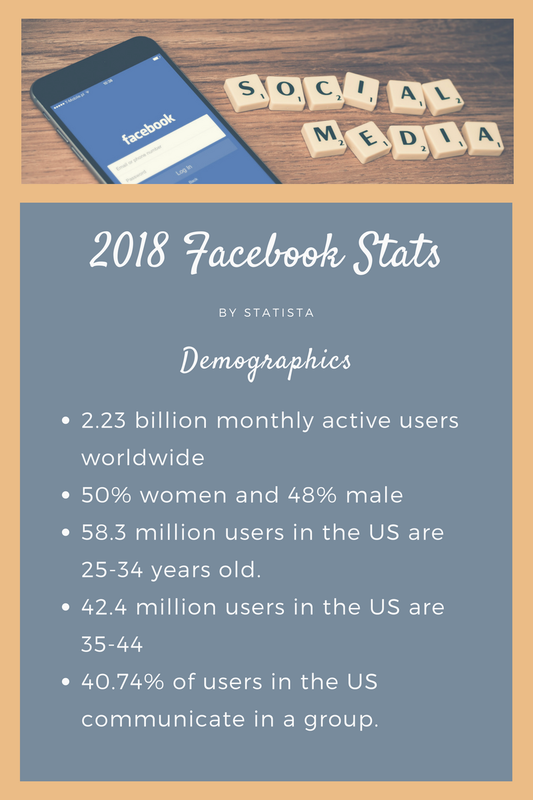 You can check out more about that in our post of about Facebook marketing in 2018. Many businesses are now asking themselves, “What are Facebook groups,” and “Do I need one for my business?” Let us help you break it down! Last year, Facebook allowed businesses the ability to link Facebook groups from the business pages. Previously, you had to create them from your personal page. 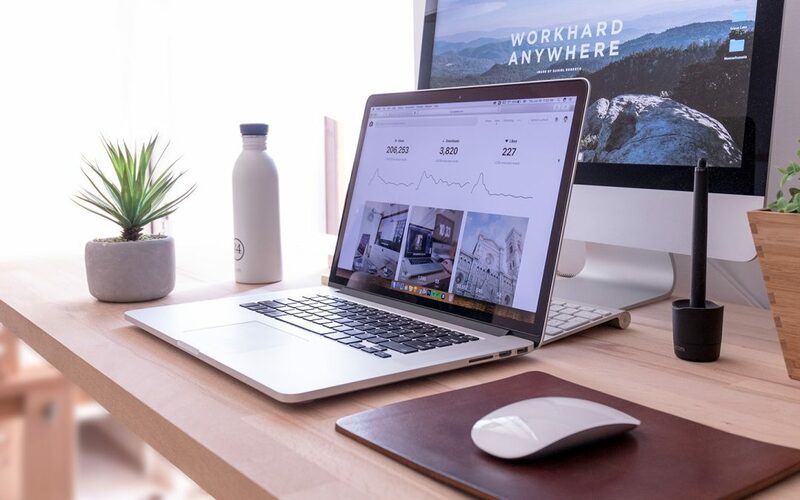 This is great because it allowed you to separate your personal and business activities online as well as give more visibility to your business in the group. On the bottom left of the group header image, you see the business the group is linked to and can easily navigate to that business page by clicking on it. So what are the benefits of having a group for your business? People usually feel more comfortable interacting with a group vs on a standard page. Because the visibility of the posts, comments, etc are limited to the people in the group, it does not feel quite as scary to make a comment. Notifications go out to the entire group when posts published. Settings around this are changing some so that people don’t get bombarded, but if you continue to publish meaningful information that people interact with then your posts will still be seen. There may be people in your company that are not involved with managing your social media campaigns but might have meaningful insight for your company. Think about the owner, sales manager or other specialists. They can be admins in the group and also comment, post and interact with the groups’ followers. Imagine if you were in a group that was for your favorite brand and the CEO of the company wrote directly to you! Wouldn’t that make you feel special? How do you set up a Facebook Group? Go to your Facebook Business page and scroll down until you see the “Community” section on the right side. Then click the “creating and linking a group” button. That will take you to the groups page for your business. If you already have a group created then there should be a groups button the left side of your page. You can always go there directly to add additional groups if you need to. Once there You can click “Create Group” and follow the step-by-step instructions to set it up. One important note, you will have to add at least one person to the group. We do not recommend going through your friends list and adding folks to the group. It automatically adds them to the group without them having to accept and is a quick way to frustrate and annoy people. What privacy setting should I use? This really depends on the purpose of your group. We recommend using the Public or Closed group options though. Public is great if you do not care who joins, the more the merrier right? This is great for building awareness, community and education people. For example, if your business is about sustainable farming, you could create a group where people can share their tips and tricks about their farms. Anyone can join in and have a conversation and it’s up to you to create content to put your brand in front of them in a meaningful way. Most groups you create will be closed. Our Simple SEO and Simple Social Media groups are closed and are a benefit of a paid membership they are a part of. By publishing content in a closed Facebook group we provide easy access to materials and they can’t be shared from inside the group to the general public. This could also be used as a way to reward VIP members of your organization. Maybe they get access to new products before the general public and you announce it there. The biggest difference between a Closed and Secret group is that closed groups are still visible in search. You can’t see the posts but you can see that the group exists. Secret groups are only found if someone in that group invites you to it. Now that it’s set up what’s next? One of the tricky things can be figuring out what content to post to the group. You do not want to post the same thing on your Business page that you put in your group. Remember, your group is supposed to bring people closer to your brand and build that know, like and trust. It’s also great for creating evangelists for your brand and keeping them coming back for more. Having a distinct strategy for what you want your group to accomplish will help you with generating content for your users. And as always, pay attention to the analytics. What types of content are people interacting with more? What types of questions are they asking you and asking each other? What types of feedback are you getting when they are responding to each other? Promoting your group is also going to be important. While you can’t advertise to people in groups (yet), you can advertise on Facebook ABOUT your group. If you have an email newsletter that’s a great place to let people know it exists. Just remember to be patient. It takes time to get a group going and engaged. Don’t give up if after a few weeks you aren’t getting the engagement you were hoping for. People need to feel safe commenting and expressing themselves. Continue to develop that safe space and you will see results. The beauty of Facebook groups is that you are only limited by your creativity. Groups work with all different types of industries and audiences. Think about how you like to interact with your favorite brands and bring that into your strategy. Join other groups and see how they use it and get ideas – just don’t be a copycat! We’d love to hear about your success and ideas so share this post and let us know what kind of groups your business utilizes. What is Facebook Live? Let’s start with the basics. Facebook Live allows you to broadcast live to your audience and talk about whatever you want. So what might you want to talk about? When you’re just starting out you really don’t need more than your mobile phone, or a computer with a built-in camera. You don’t need a full production studio with multiple cameras and professional mics. What should you know before you go live? Practice, practice, practice! Go to your Facebook page and click “Start a Live Video.” This should be right under where you write a post. From there you’ll have a lot of settings on the right side of your video. Select your personal Facebook page and then select “Only Me” from your privacy settings. Then away you go! You can feel comfortable going live and recording what you want and no one will see it. Key things to check is your lighting, audio and just an overall comfortableness with the camera. Your Facebook Live strategy should be part of your overall content marketing plan. If you plan on making Facebook Live a regular part of your strategy then plan the content out in advance so you can make sure they are all connected. Remember quality over quantity and consistency matters. Keep your customers coming back to your page each week for a series, or monthly for new product launches, whatever makes the most sense for your business. Make sure you know what you’re going to talk about – write out an agenda so you don’t miss topics you want to touch on. Remember – even the most seasoned professionals have scripts for their live posts! Your customers are right in front of you (even though you can’t see them). Don’t forget to interact with them. Acknowledge that they are there. See a regular customer of yours? Say hi and make them feel special. If you can have someone help you with answering comments and questions that is even better. What to do with the Live is Done. You probably didn’t get to all the questions and comments that people asked during the live broadchast. No sweat! Once your Live is completed then the video will remain on the feed or group that you posted it to, as will all the comments. Go back through and answer them within 24 hours. This not only helps with customer service to your audience, it also creates more engagement on Facebook to give you more reach. If you have a YouTube page then it’s also a great way to repurpose this stream by uploading the video to your YouTube Channel. Want to take Your Live to the Next Level? So maybe you’ve done a few Facebook Live videos and you’re ready to have a more professional look. Or maybe you need more options like interview style videos with someone else that isn’t in the room with you. If you’re a small team and want to make sure your phone stays steady throughout the shoot we love the iographer products for Apple products. These products help with stability and ensuring you have a steady shot. At H & E Marketing Solutions we love BeLive for live streaming. There are several features from screen sharing, to talk show formats and custom branding. And while those features aren’t free – they are totally cost-effective. Don’t be scared of live posting. It is a great way to be authentic with your audience and learn from them about what they like, need, want from your products and services. Are you aware of the significant changes Facebook made on January 11th of this year? You will need to midify your strategy or get left behind. There is no question that Facebook is the place that most business play. 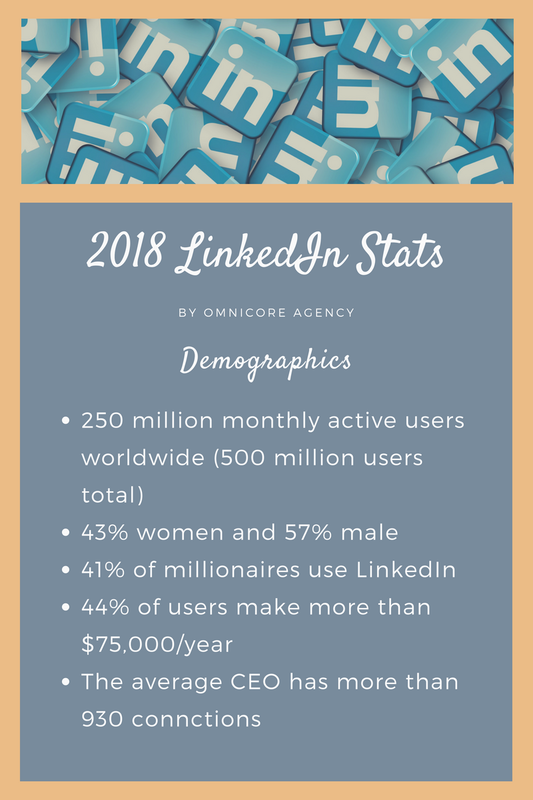 With more than 2.072 billion monthly active users and more than 40 million small businesses with active pages, it is definitely the place where most people live socially and offers great opportunities to target your audience. So now that we are moving into 2018 what are the things you need to know about marketing on Facebook? On January 11, Mark Zuckerberg posted an announcement on his Facebook page that rocked marketers and small businesses everywhere. This announcement has been a long time coming for many of us, but nonetheless, it is still changing the way that businesses will interact with Facebook. Let’s break it down! “We built Facebook to help people stay connected and bring us closer together with the people that matter to us. That’s why we’ve always put friends and family at the core of the experience. Research shows that strengthening our relationships improves our well-being and happiness. Facebook has long been announcing that they want to build communities and meaningful relationships between their users. Now they are defining in more depth what that means to them. 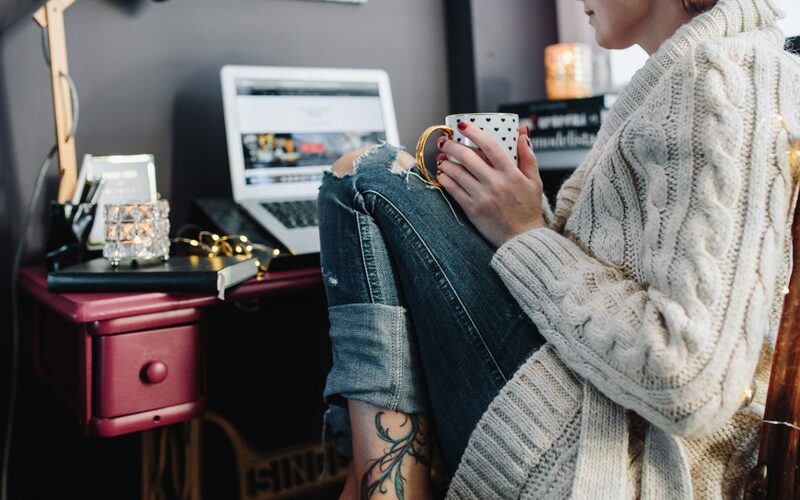 Research has shown that people that interact on social media feel more included and those that participate on the sidelines (just scrolling through feeds) can cause feelings of loneliness and detachment. Facebook is taking this seriously and therefore giving more importance to your personal news feed based of what your friends and families are interacting with. Pages include business, celebrities and media. Facebook will now be giving priority to posts from your friends and family. Posts from pages will not be served unless their is interactions on that post. So what does this mean for your business? Your posts need to be authentic and all about your story and who you are. What builds community around your brand that gets people talking? If you don’t then your posts won’t reach ANYONE! 3. What is the state of video? In 2017, video was ranked higher in the algorithm than photos. It didn’t mean if it was live or a video you uploaded. That is now changing as Facebook feels that passively watching a video doesn’t build community and while the watch times were fine, they were not interacting with the posts. Moving into 2018, Facebook Live streams will be the key to getting visibility to your business. Facebook Live creates engagement and interaction with your audience. Check out our tips for an easy Facebook Live! 4. Should I be on Facebook for my Business? Yes! Now I don’t think you need to be active on Facebook daily or even monthly but having a Facebook Page for your business helps in so many other ways. Facebook pages often show up on the first page of Google if people are looking for you – help them find you! Yes this is a big change that Facebook is rolling out – but it isn’t the end of Facebook. It might change the way you market your business but it also is encouraging more engagement with your audience – and that is never a bad thing. Let us know what you’re doing to change your strategy on Facebook! Or let us know if you have any questions.